It’s done! Today was full of burrito bowls and Fajitas and I am definitely okay with it! Breakfast was simply scrambled eggs. Lunch was Chipotle!!!! 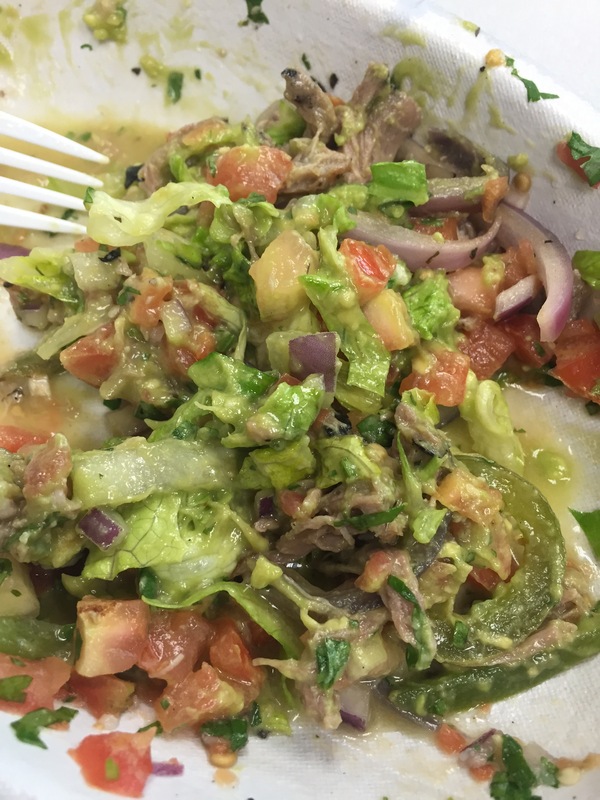 I got a bowl with double meat, as the carnitas are compliant, lettuce, guacamole, and lots of fresh tomato salsa. Soooo flipping good. 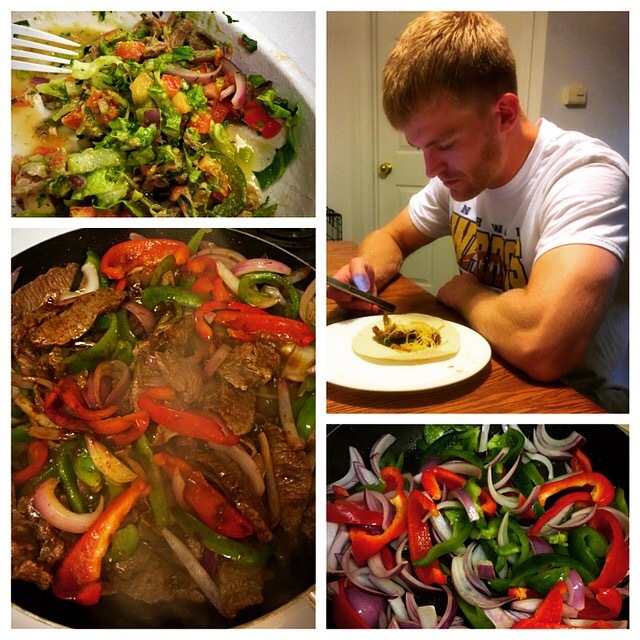 Post workout (back), we made fajitas! I stir fried flank steak, green and red peppers, and red onions with compliant fajita seasoning from my local grocery store. Note that my fiancé is not on whole30 and I resisted the wonderful, warm, tortilla. If I had to eat one meal for the rest of my life it would be a steak burrito bowl with tons of pico and guac. 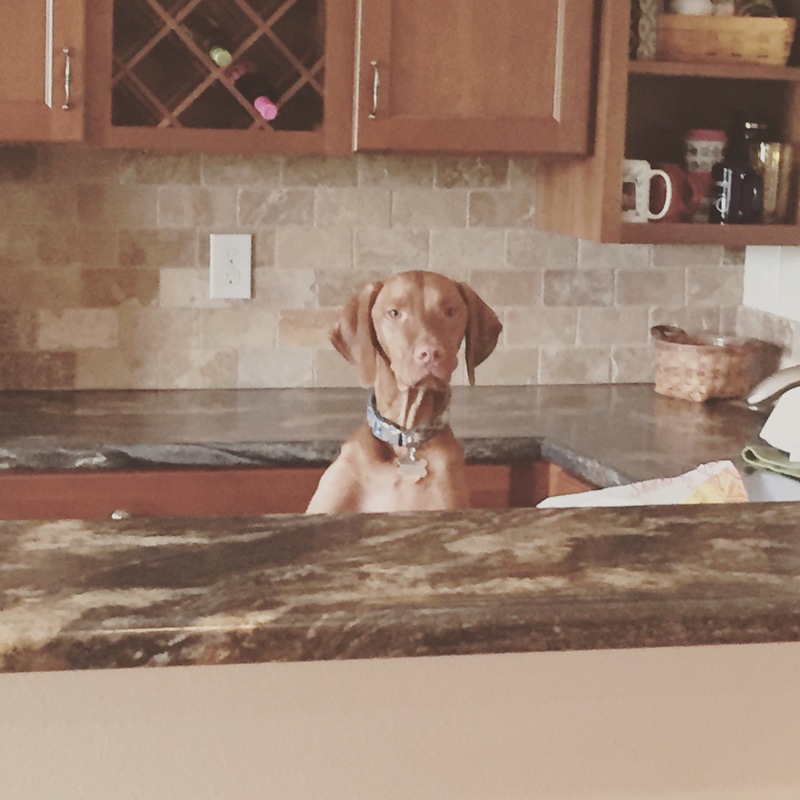 And here’s a quick cute adorable of my puppy acting like a bartender. Vizslas, I tell you.